While I was at American Prep (APA) attending Emilia's taekwondo presentation, Todd stayed home with the two younger ones. We knew snow was in the forecast and happened to mention it to the kids. Well, Stella was super excited about it. She had not been feeling well and woke up at 4 am to find us. 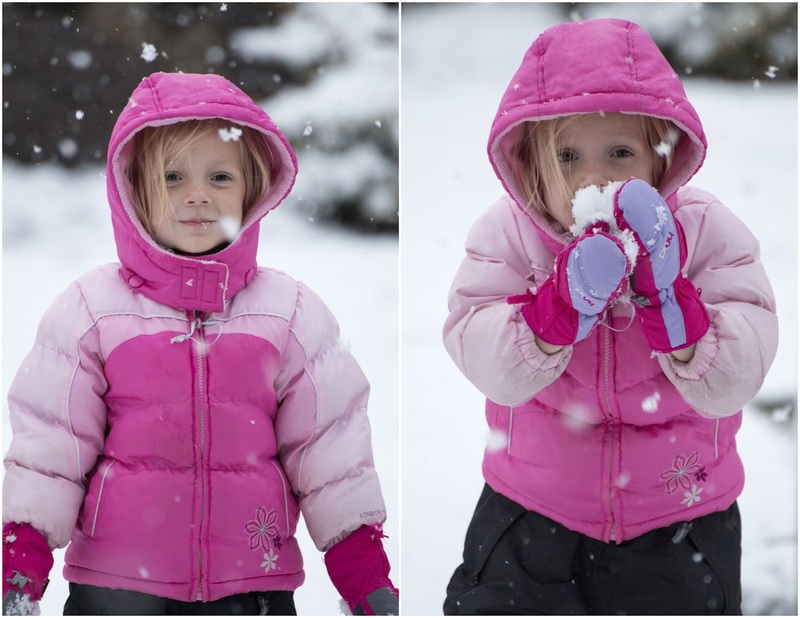 Her demeanor changed from sad to pure delight once she saw the snow. She had to wake us and tell us all about it. I think she was as excited as on Christmas morning. After the kids went to school, Todd allowed her to go out and play in the snow for a few minutes. She had outgrown her snow boots. Her tennis shoes got wet fast so she didn't last very long, but she had fun. By the afternoon the snow had mostly melted and a few days later we are back to walking outside with not even a coat on.